Virginia Beach schools are giving Wi-Fi hotspots to students without home internet. Seventy percent of teachers assign homework that requires access to the internet, while five million households with school-age children do not have high-speed internet service at home. Educators call this the "homework gap." It's a problem that Virginia Beach Public Schools intends to solve. Thanks to Title I and Title IV grant funds, the Virginia Beach Public School System is distributing personal mobile Wi-Fi hotspots to students with no home internet access. Some students at Bayside middle and high schools received the devices early this month, and the district plans to order at least 150 more, according to Monica Robinson, K-12 academic support coordinator for Virginia Beach City public schools. The district was chosen for the program because a high percentage of its schools qualify as Title I, meaning many of the students come from homes considered low-income. The school division will charge a small service fee each year. The devices come from Kajeet, a mobile service provider that specializes in providing broadband access for school districts and people with young children. The school system entered a 12-month contract with Kajeet last summer, with both the devices and the program costing roughly $47,000, paid for by Title I and Title IX grant funds. 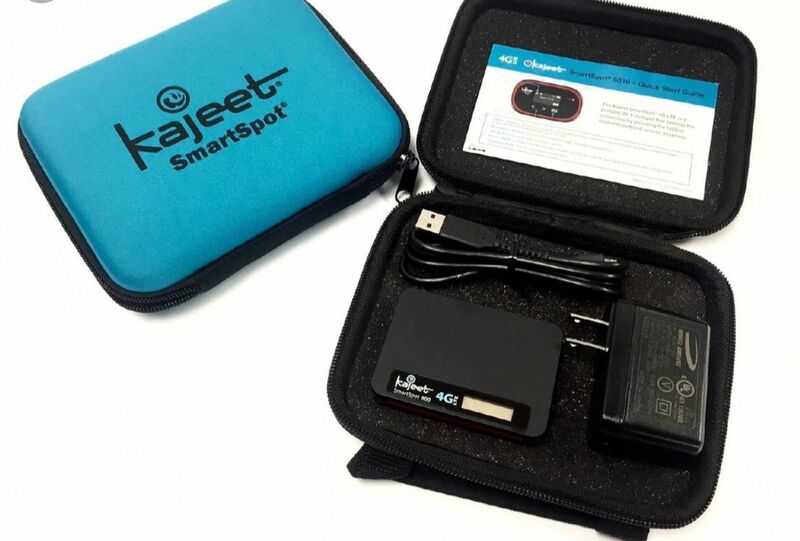 Kajeet mobile hot spots run on Verizon and Sprint networks, and they allow students to connect to up to three devices. Students get 500 megabytes of data for homework per day and 15 gigabytes per month. The students are also alerted when they're near the end of their data for the month, Robinson said. The hot spots also allow school administrators to monitor students' use of them and filter out blocked websites, allowing teachers to have conversations with students about internet safety. "We do want to monitor them because if you're trying to go stream video a lot versus researching, we can have conversations with our students," Cristina Alsop, Virginia Beach's Title I director, said. "Remember what the device is for." 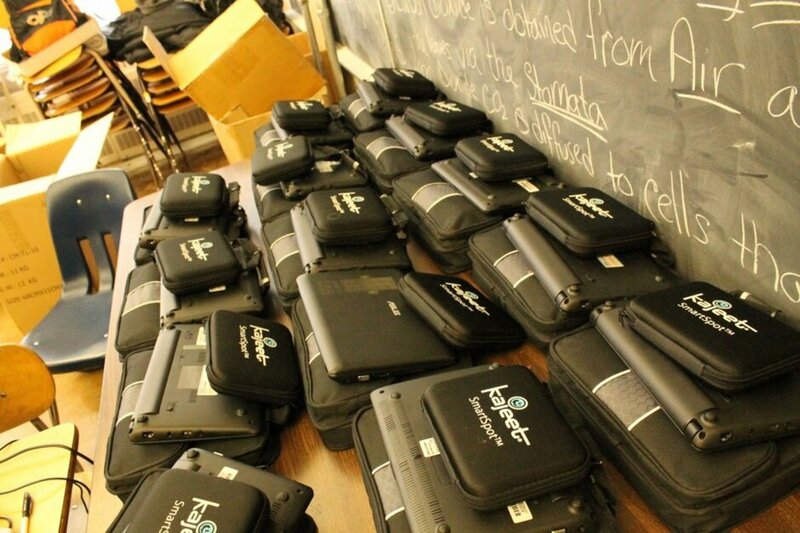 Students who received the devices were required to sign up with their school, stating that they do not have reliable internet access at home. Alsop said it's important for these students and their homes to have access to WiFi , "whether it's their homework, or maybe parents searching for employment, or parents looking at their children's grades." Robinson said she and Alsop first got the idea for the hotspots after seeing a YouTube video produced by Sprint. The video showed two groups of students competing to answer homework questions, one group with WiFi access and the other one without. "One group and their parents believed that they were not as smart as the other group until they realized that the playing field was different," Robinson said. "They realized that they were not inferior, they just did not have the same access." With this program, Virginia Beach schools hope that's something we can fix. Do you, your siblings, or your kids use WiFi for homework or your job? Share your thoughts on this program in the comments. Here's what's on your ballot for Election Day in Virginia.